For more info on this vehicle call on 01202 237313 This is an EXTREMELY RARE, Collectors / investment piece. 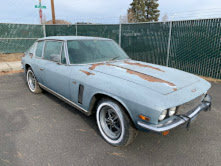 1972 Jensen Interceptor III, G Series. The very 1st (literally less than 100) MK3 cars off the production line were built with the 6.3L 383ci V8 engine which very shortly changed to the 7.2L. There are very few G series still on the road and even less in such good condition for her years. 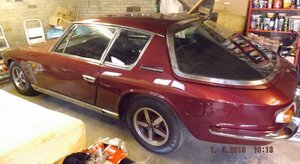 She's comes with an A4 folder stacked full of detailed history and MOT's. and has a photo album documenting the full nut and bolt restoration that has been carried out. 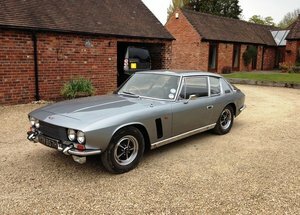 Only 2477 Interceptor III were ever made and less that 100 G series with the 6.3L V8 engine • 330 BHP • 440 LB/FT Torque • 0-60, 6 seconds with a Top Speed 135 MPH which was lightning speed for its day. British craftsmanship at its best. Id go as far as saying this is probably the rarest vehicle we have ever had the pleasure of offering for sale. Just had brand new carpets, wheels & tyres. Original tool kit and dealer hand book. Been stored in a carcoon past few years. 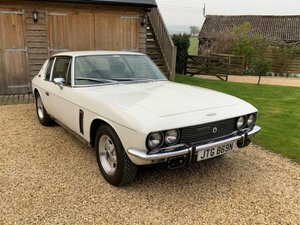 Happy to take a px; Car / Classic / BIke / boat / Property / investment, what have you got..? Finance available, Card payment accepted.